Earlier this year, Buck 65 released his guest-heavy album 20 Odd Years, but his touring plans were upset when he cancelled some summer dates due to unspecified reasons. Now, the eclectic hip-hop veteran is making up for it by scheduling a new North American tour. After a smattering of shows in December and January, the trip will begin in earnest in February. It will last until early March, and along the way will include Canadian gigs in Ontario, Quebec and British Columbia, plus stops in the U.S. west. 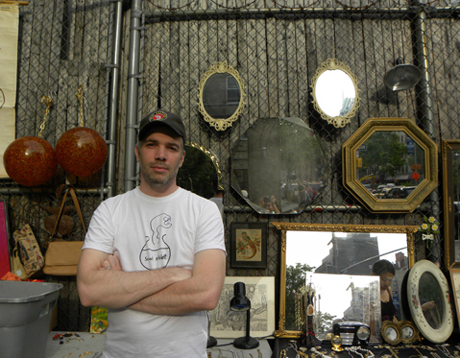 In a post on his official website, Buck 65 wrote, "There will be old songs, new songs, obscure songs, dance moves, stories, show and tell, a super-deluxe merchandise table area and god-knows-what-else." He also promises that more Canadian dates will be announced in the new year. In the meantime, see the currently confirmed schedule below.